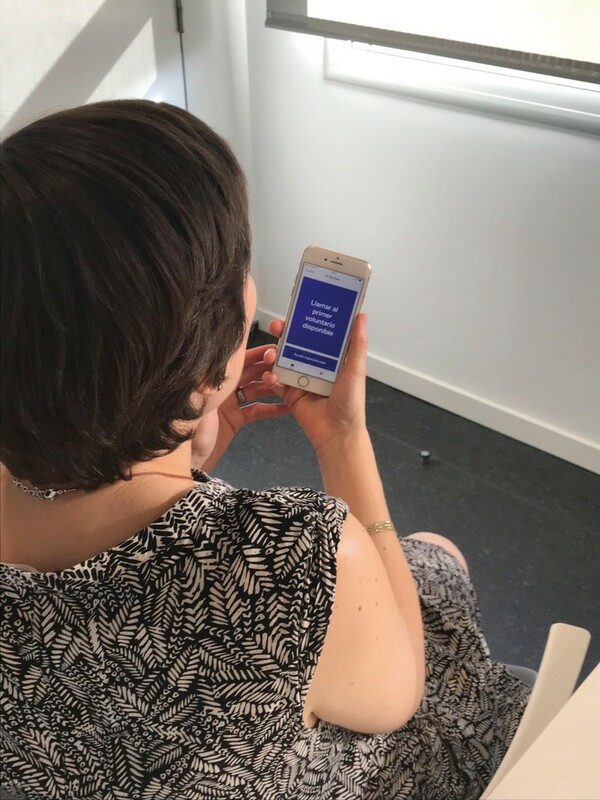 Since the launch of SilVer, an innovative platform that catalogues and recommends apps and devices that make daily life easier for those whose sight has been lost or is limited, the patients of the Institut de la Màcula have requested an in-person and personalised tutorial. The workshop was taught by the Barcelona Macula Foundation and DRJ Consulting, the promotors of the platform, and it is the first of others to be held in the near future. “For us, it is important for our patients to enjoy the support they need at a time in their lives when they must face up to a situation they didn’t expect and to which it is sometimes difficult to adapt”, said Dr Jordi Monés of the Barcelona Macula Foundation. Meanwhile, Daniela Rubio, the founder of DRJ Consulting and certified as an Apple Distinguished Educator, believes that the elderly initially find the technology overwhelming. “It is because of this that workshops like these help them to feel more secure. They provide them with a guide for support and they make them aware that others in a similar situation and characteristics are also capable of doing this”. The use of assistive technology gives users a greater degree of autonomy and also confidence in their possibilities. “With this workshop, I have suddenly grown. I have begun to take my first steps in the technology, as if I were a little girl. Thanks to the tools I have been given, I feel that I don’t need to ask questions as much, that I need less help. I am very happy and proud of myself for having tried it”, says Rosa Maria Abraut, a Nystagmus disease sufferer. These technologies are very useful for specific aspects of daily life. 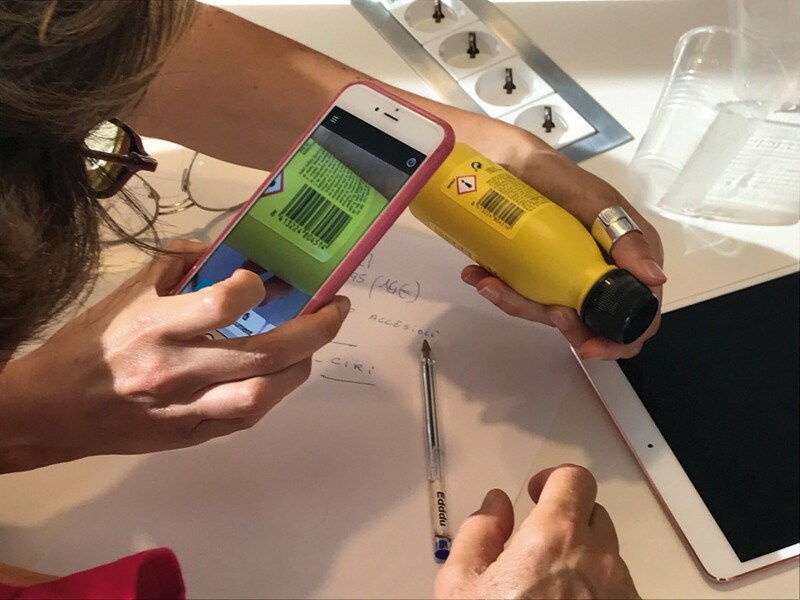 From asking the mobile phone where one is located geographically to using instruments and apps that help with the housework, such as those that recognise products in the larder, help to check how full a cup is, scan the mail for us or read the information leaflet of a medicine. “One of my frustrations was not being able to read as well as before. This is why I have felt especially pleased to learn how to use an audiobook. 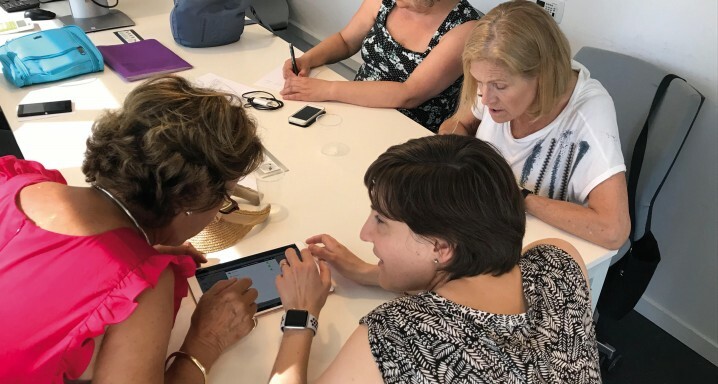 The workshop has opened up the possibility of gaining access to a world of apps that I didn’t know and that I might never have known if I hadn’t had help”, says Dolors Argerich, who has Age-related Macular Degeneration (AMD). You can access all the information about the SilVer Project at www.barcelonamaculafound.org or using this QR code.